Over the past few weeks, I’ve been busy cutting, piecing and quilting this beautiful little quilt for my future niece, due next month. 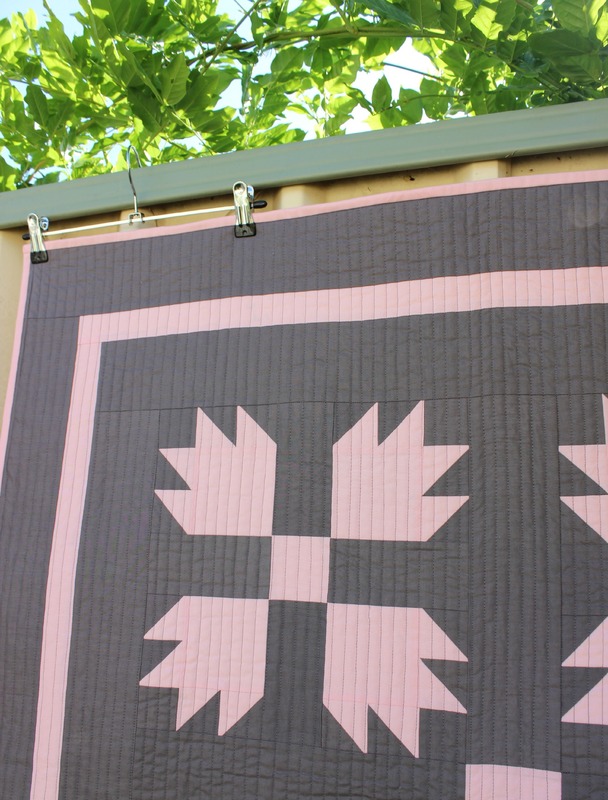 For this quilt, I wanted to merge traditional with modern by using this Bear Paw Block as the central design while featuring fresh colours and modern quilting lines. I also have to admit that it was joyfully wonderful to finally work in the colour pink! After making quilts for four nephews, the change in colour palette was like a beautiful breeze of fresh air! I gifted this quilt away yesterday at her baby shower and I can only hope that she will find comfort and warmth in it always! 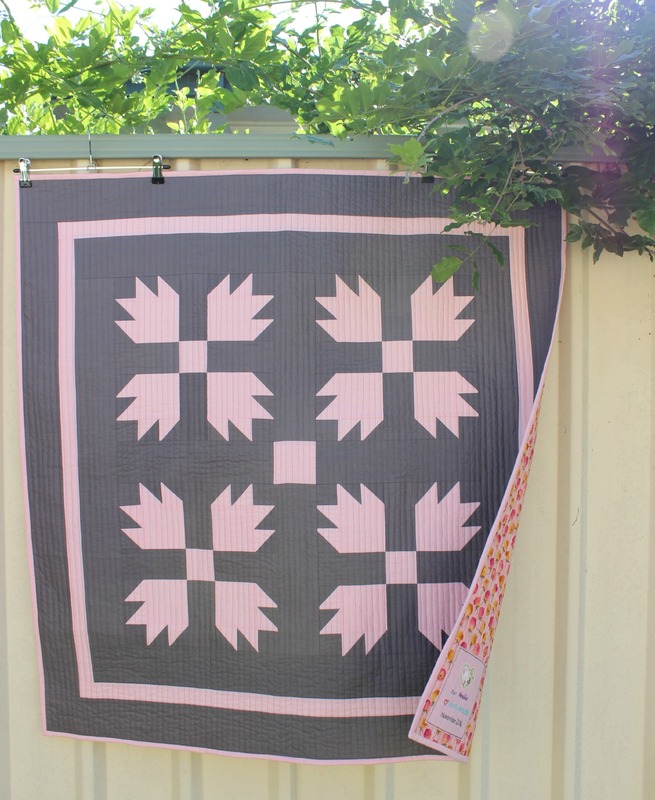 Amanda, could you tell me how much of the pink and grey fabric it takes to make this one? 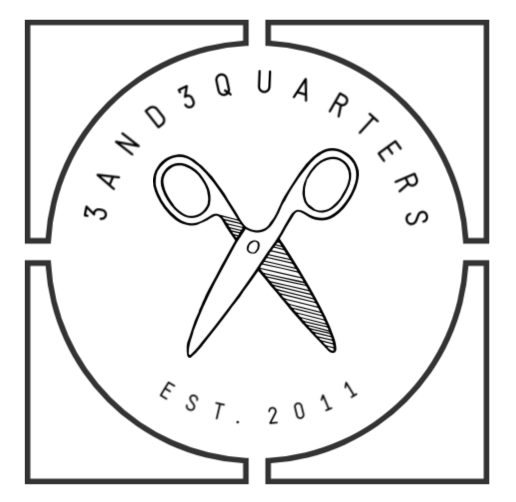 I made your Geo Dreams quilt and had such fun with it that I’d like to try this one, too! 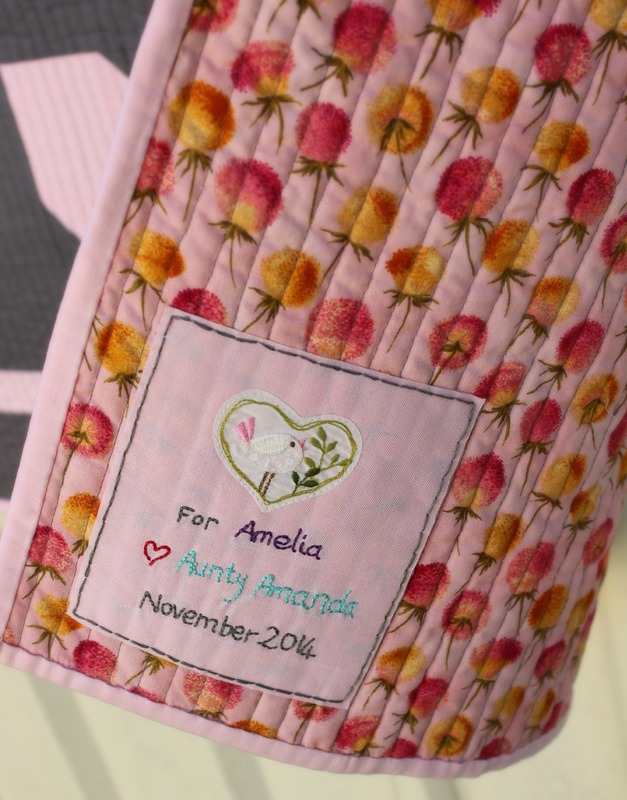 What a beautiful quilt and such a wonderful gift for your new niece when she arrives. I wish I had of thought of doing something like this when my niece and nephews were babies! It’s just beautiful…love it. Tute please!! The use of light and dark is striking, all the more so because you used solids. Whoops I hit Send too soon! I just wanted to add that I really like how the colors emphasize the negative pattern in the middle. the school has given me a whole nother perspective on Bear Claw! I agree. 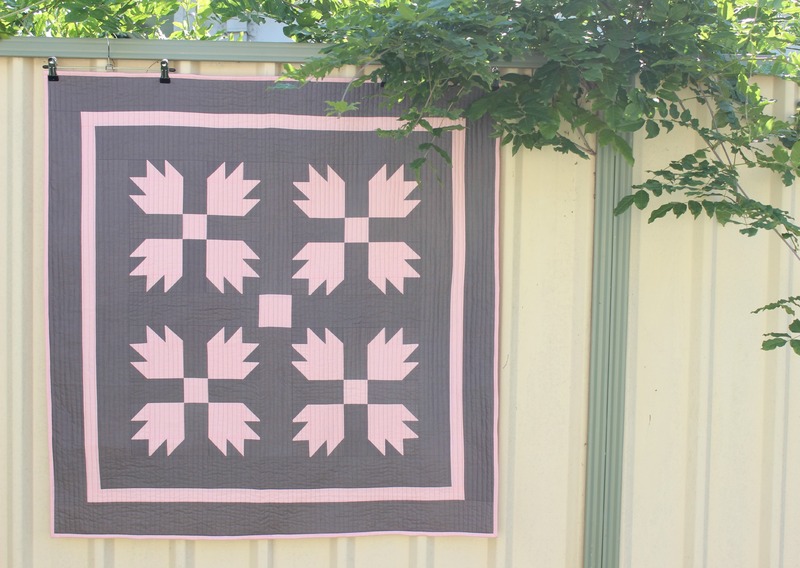 The colours in this quilt work awesomely together! These solids were totally meant to be! Gorgeous quilt. I love the pink and the grey together. What a lovely quilt, she’s a lucky little girl, label is cut too.